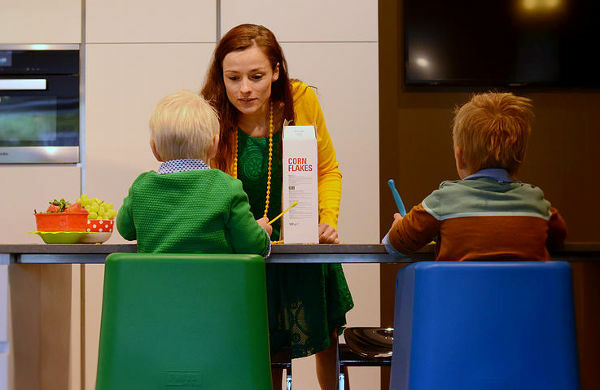 Some people are just so darn clever, like the Belgian couple who came up with this innovative highchair. Unable to find a highchair tall enough to suit their breakfast bench, they invented this. As I said, clever! 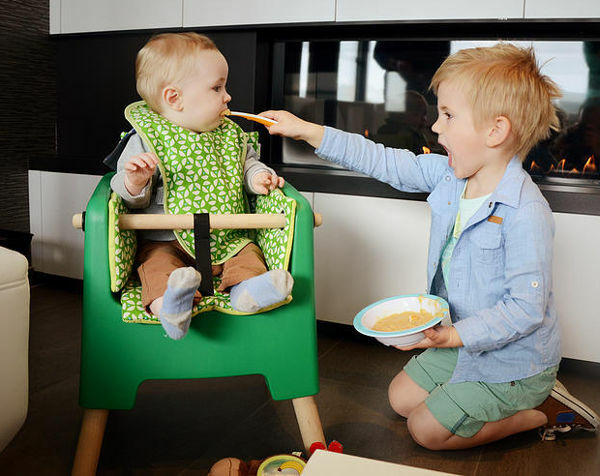 Launched last year, the Fritsforkids highchair has already attracted a design award – which means it must be rather impressive. Essentially it’s a four-in-one highchair that adapts as your child grows. No need for a myriad of different seats taking up room around the house. 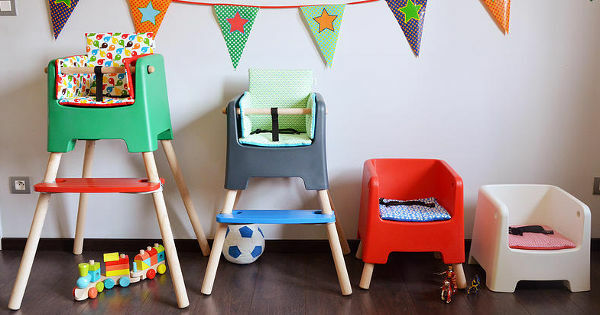 And as if it wasn’t awesome enough, the Fritsforkids is also a really smart, stylish-looking piece of children’s furniture, which is available in different colours, and with matching cushions. It’s a really simple design, but there’s plenty of thought and ingenuity behind it. You can buy a few different packages, and the Kitchen Island Highchair is the one that started it all. 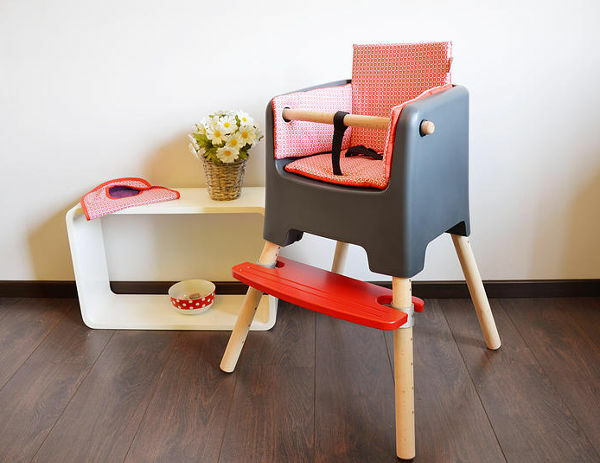 It comes with adjustable legs for the height of a kitchen island bench, adjustable legs for a normal kitchen table, smaller legs so the chair can be used as a child’s seat, the wooden stick which goes across the seat for extra safety and a security belt. It costs €299. You can also just buy the Drawing Table Chair version for €149. The padded inserts can also be purchased separately, and include the wooden safety stick and security belt for €59. The collection is available from Mint Mouse, but you will need to contact the store directly to organise shipping to Australia.